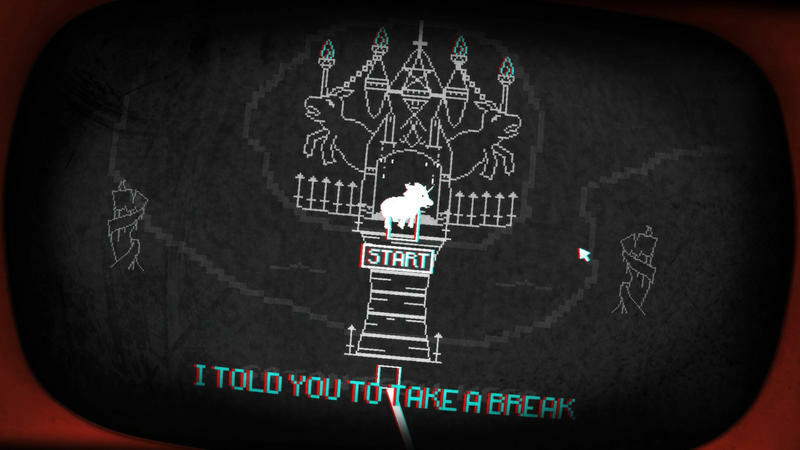 A game called Pony Island tricked me into messaging a friend at 3 a.m. I love a good open-world game or shooter as much as the next gamer, but the stuff that really sticks in my brain and leaves a mark is the stuff that touches on intangible ideas and starts messing around with the way I perceive reality. In 2016, SOMA left me questioning the nature of consciousness and self, and where the self begins and ends. Am I my body? Am I my brain? What if I could copy my brain and activate it in a computer? Would that copy be me? Of course, these aren’t new questions by any stretch. Philosophers have been asking them for years. But games, by their nature, are demonstrative. They put you in the situations they portray. That can make it easier to ask ourselves the often vague and impersonal questions philosophers have contemplated. Just after the new year rolled around, I found myself in that spot again thanks to a game from last year called Pony Island. If you don’t like spoilers, even for a game called Pony Island, then back out now, because I’m going to spoil this bizarre game. I’d started Pony Island earlier in the week, playing an hour or so in my first session. Almost right away, it was clear that the promises of a weird game weren’t in jest. 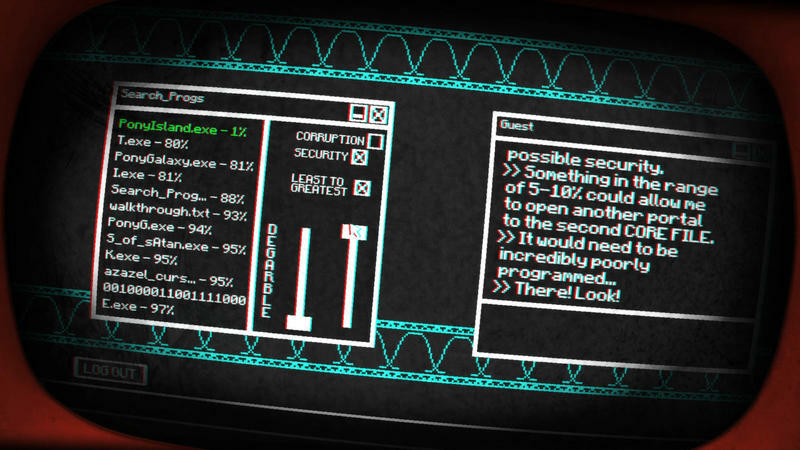 A black-and-white CRT monitor took up my screen, and an ominous hum filled my ears. I tried to click Start Game to begin playing, only to have the screen glitch out. Eventually, it errored out and I had to head into options, clicking Fix Start Menu and replacing the Back button that had fallen off its mount in the upper left-hand corner of the screen. Finally, I was away and hopping over gates – as ponies do. That weekend, after a night of way-too-much Overwatch, I jumped back into Pony Island to finish it up. Around 3 a.m., my friend Dave – hi Dave! – messaged me via Steam’s built-in client, asking me if I’d been hacked, if I was really playing a game called, of all things, Pony Island. Dave isn’t one to judge me for playing weird games, but it was 3 a.m. and of all my friends, he’d be the only one awake. I hit Shift-Tab and went to IM him. Weird – the window was closed. Well, whatever I clicked on his name and started responding, sending a few IMs before things started to click. I’m not sure if this would’ve worked quite as well if I’d been more fully-rested, but when I figured out what had happened, my face went red with embarrassment for a moment. I tabbed back into the game and reloaded my save. What the game had done was look at my friends list, check who is online, and start sending me fake messages as them. 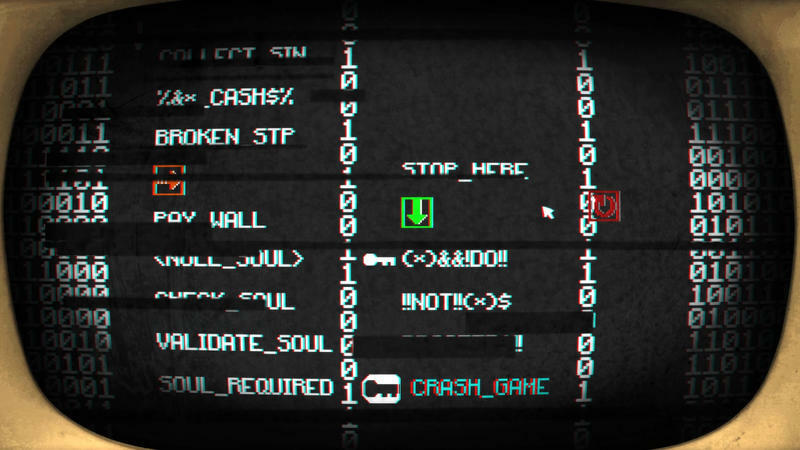 The messages were entirely in-game, so it was entirely visual – there was no hackery going on here. I’d been duped. The game had played on my embarrassment at being caught playing a game called Pony Island and used it against me. Mind you, I wasn’t embarrassed to be caught playing the game – it’s a neat, strange game in the vein of Frog Fractions, and I was excited to share it with people. But the title of the game left me feeling guarded, like I’d have to justify it to anyone who saw me playing and questioned it. Later, while interacting with a being who’d asked me for my undivided attention, my game crashed. This time, I was ready. I waited patiently and the crash report went away. Out of curiosity, I logged out of the game and back in so that I could see if the game was really crashing. Indeed, if you click “Close the Program,” the game ends. From my layman’s view, it seems like the game is really sending the unresponsive signal to the computer to pop up that message, and then responding again once you tell it to wait. It’s using the way that computer programs work to mess with me. 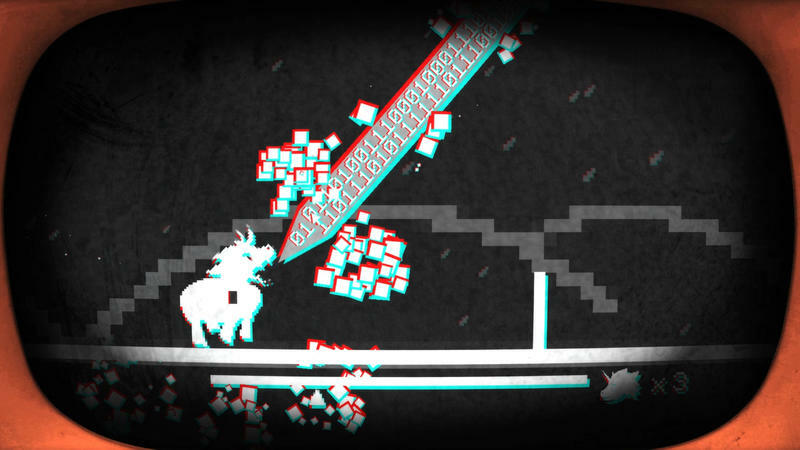 Pony Island was blurring the line between the game and reality. That’s not to say I can’t tell where the line is. But a little bit of game bled through. Pony Island made me ask questions that a book, a movie, or almost any other piece of media could only stare at through a one-way mirror. 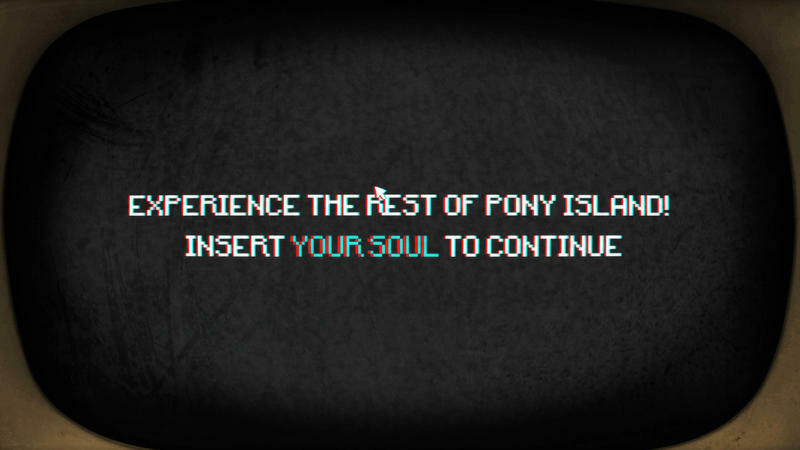 By sneaking in the form of a game, Pony Island let me go into it comfortable, priming me to face those questions with my guard down. I still read, I still watch movies. But games are a big part of my life, one of the biggest ways I take in new stories and ideas. Games are still young compared to other media, and creators are still finding ways to explore the medium. Is it a game, an art project, a guilty pleasure, or silly nonsense? The answer’s somewhere in the middle, I think. A game spilled over into real life and suddenly I was explaining something called Pony Island to my friend Dave in the middle of the night. And that’s really cool.